Last weekend’s long-awaited weather change gave many of this Monday’s Boston Marathon participants the chance to get outside for one of their last training runs. As final preparations for the race come into focus, many runners begin to let doubts of their training creep in. With such a brutally cold and snowy winter keeping many training sessions indoors, these doubts are assuredly higher than previous years. Compounding the uneasiness for runners are the dozens of articles from fitness experts published at this time of year touting the significant differences between running on a treadmill and running outdoors. 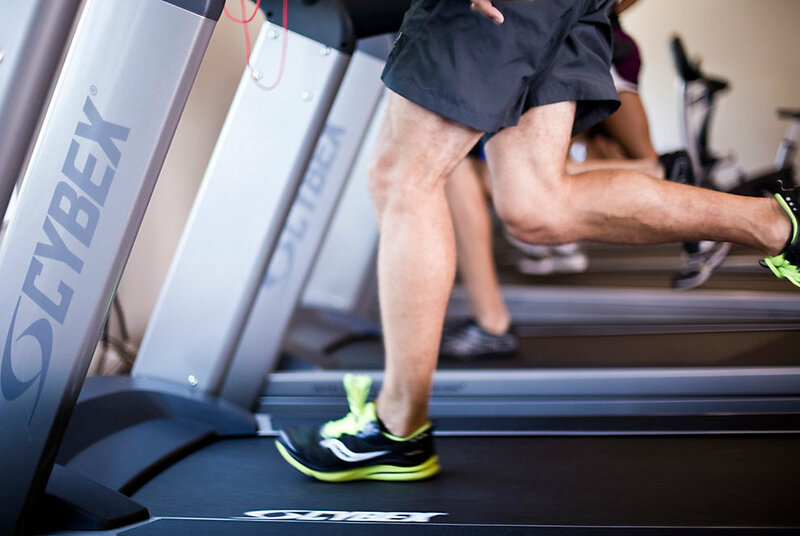 Unfortunately, even with decades of research from the scientific community on this topic, the myths of treadmill training being less than ideal still persist. Just eight miles away from the Boston Marathon starting line at the Cybex Research Institute (CRI) in Medway, researchers have examined years of evidence to attempt to debunk the common myths of the “dreadmill.” In fact, they suggest that only in rare instances is treadmill running different than ground running and most assuredly is a better option than not training at all because of the outdoor conditions. Many also argue that an indoor environment, like a gym, has a potentially higher humidity or temperature than an outdoor run. While this is typically true, until you know the race day conditions (does 2012’s 90°F start ring a bell?! ), training for or in a particular environment is not a guarantee for a successful race, either. Treadmill running will often ‘feel’ different to those who are used to logging a lot of mileage outdoors. This is most likely because the pace is set by the machine and remains constant, where road running allows the runner to dictate the pace, which can undoubtedly vary not only run to run, but within each training run. For someone training to maintain a certain pace in the Marathon, treadmill training is a tool that will help you get used to that pace as the big day approaches. While working to dispel the myth that treadmill training is insufficient to a marathon runner’s prep, the scientists at the Cybex Research Institute have noted that while the machine is completely suitable for training, treadmills can’t allow a runner to train for everything, such as changing direction. However, they point out that all training implements and methods have their limitations and advantages. Training on a treadmill will allow you to properly prepare for a marathon. If you added hill work and goal marathon pace specific work on the treadmill, you may be targeting a personal best come race day. Structured sessions designed to build strength, cross-training to build endurance without overdoing the running, and implementing proper nutrition strategies all offer even more support to base training if included. When the doubts of your training do creep in, Susan Sotir, Cybex Research Institute Education Specialist and Ph.D. in Sport and Exercise Psychology reminds you to recognize you have done the work. You have put in your miles. Indoors, outdoors, whatever the combination, truDispst in your preparation and run the race confident in your training. Whether it is the anticipation of your first race, the emotion of this year’s remembrance of last year’s tragedy, or the fear of this winter’s training conditions, self-doubt is a given in many runner’s minds this week as they head toward Hopkinton on Monday. While this happens for a variety of reasons, lack of faith in your indoor training this winter should not be one of them.